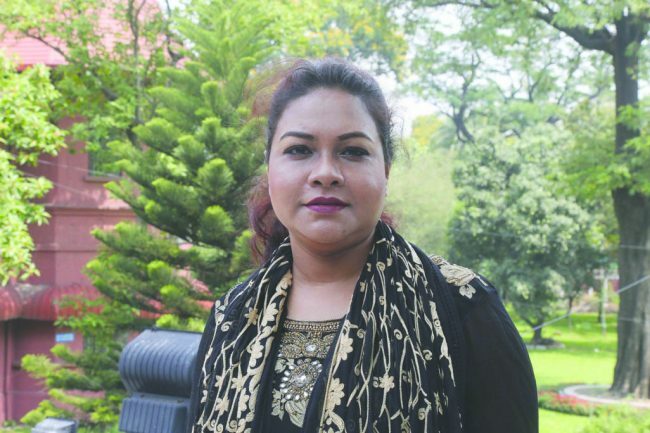 Kamrun Nahar, Journalist, The Financial Express : Bangladesh garnered widespread international media attention in the last one year for giving shelter to Rohingya refugees. The Rohingya minorities are forced to be stateless and persecuted by the Myanmar government and army. As a result, Bangladesh now has the largest refugee camp in the world. In fact, it has gone beyond its capacity to manage this man-made crisis efficiently and in a coordinated manner. Different globally famous personalities and international figures are patting our back for the noble action. But what is the world community doing to ensure justice in this region? Moreover, what are the world powers doing to punish Myanmar in this respect? Bangladesh has become helpless as major powers like Russia, China or India are not coming forward due to their geo-political interests in this region. Many countries or organizations who claim to be the champions of human rights preferred to be remain silent on the issue. No demand like imposing sanctions on Myanmar has been brought so far in any international forum ever. Myanmar is rather becoming irresistible ignoring all international norms and humanitarian laws regarding the biggest ever humanitarian crisis it has created in the world. And, of course, all its courage comes from the support of its big power friends. Myanmar is even distorting the number of the actual refugees it has driven out since the 70s. They mentioned that they are ready to receive 700,000 Rohingyas if they volunteer at Shangri-La Dialogue held in Singapore on June 2. But at least 13,00,000 Rohungya people are living in Bangladesh, who are in need of various supports. The latest news that is arriving from Rohingya camps are really shocking us. Apart from living in an inhuman condition in the temporary settlements in different areas of Coxs bazar district, it is really awful to know that only 21% out of the total requested joint response plan 2018 (JRP) $950.8 million has been received so far. Another $8.8 million is expected to be received outside JRP. As many as 9,15000 Rohingyas are housed in Kutupalong Balikhali camp and his community while 2,77,000 in other camps or settlements. Only 8,49,000 receive food assistance, while 959000 is the target. According to a recent field report, emergency preparedness for the monsoon season is the priority—with no time left for major risk mitigation. As of 3 June 2018, 28,153 refugees have been relocated, both from risky areas and for infrastructure work. Efforts are underway to upgrade or decommission camp structures based on risk. The dearth of safe space for refugees limits response capacity. Partners on the ground report challenges with timely clearances of vital materials or activities. Sizable funding gaps plague key response sectors such as health and food security. Whether Bangladesh government acknowledges it or deny, a rather dismal future awaits for the country. The government has not recognised the Rohingyas as refugees. But Rohingyas are not going back to their homeland in near future as the signs indicate. Rohingyas are posing major threats to the socio-economic set-up. Bangladesh government has been supporting and bearing the burden of Rohingyas at its own cost. Neither the local media nor the global media and the civil society are vocal regarding the brutality of Myanmar with support of China and Russia and to some extent India on the Rohingyas. They hardly refer to ensuring justice by punishing Myanmar for its crimes against humanity.